Recently, one of our employees took the time to compose this lovely, articulate letter, in appreciation of his co-workers. It would be a shame not to share it with all of you. Thank you, Mr. Pearson, for sharing your thoughts. Your words mean so much. 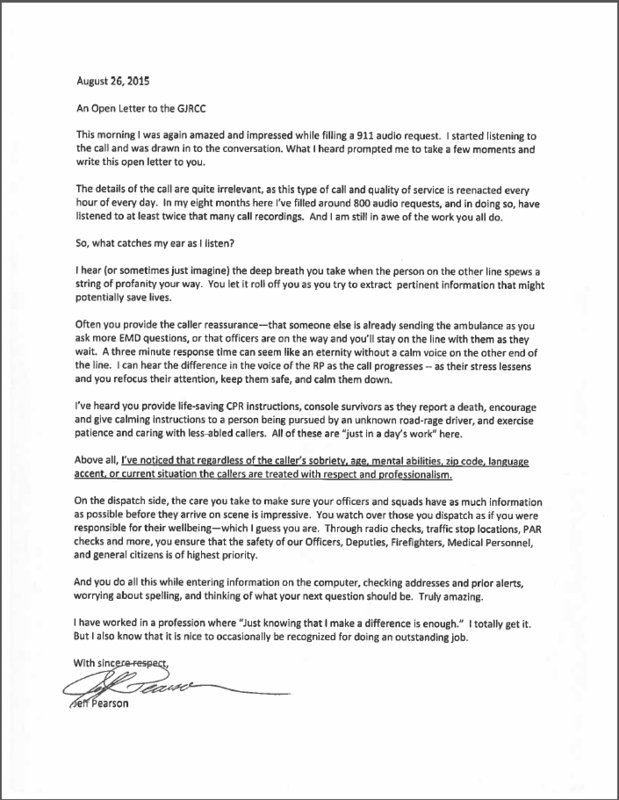 This entry was posted in GJPD News, The Insider on The GJPD Patrol and tagged gjpd, GJRCC, Open Letter.